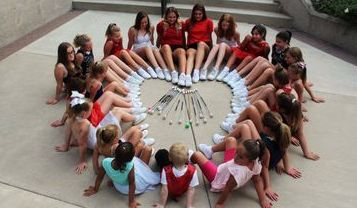 We are a non-profit organization dedicated to coaching and training in the sport of baton twirling. We are here to provide young people a creative outlet for self-expression, personal development and camaraderie through participation and competition. Please Check our Facebook Page often for updates. Classes are $35.00 per month with a $20.00 registration fee. Of course there are baton and uniforms you must purchase. We also have dance on Monday night from 5:30 to 7:30. Dance is taught by Miss Gia.